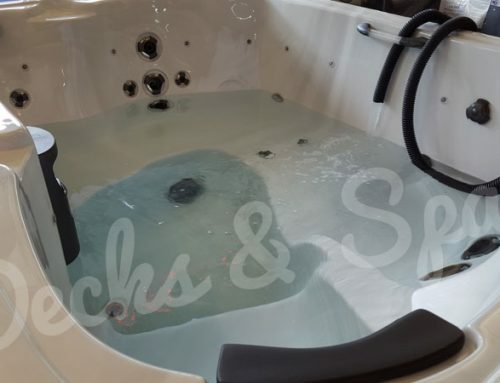 Most hot tubs built in the last 15 years feature Ozone purification systems, either as a standard feature or optional add-on. Ozone and natural sanitizing add-ons like it have been at the center of trends to reduce chlorine and bromine usage. You may be asking, what exactly is ozone, what does it do and how does it work to help keep my spa clean? In this post we will discuss how Ozone works to help reduce spa maintenance and why you should take advantage of Ozone purification systems. At Decks & Spas all hot tubs come standard with Ozone Purification Systems. Ozone is a colorless, unstable and water soluble gas formed from oxygen by contact with electrical discharges or ultraviolet light. Ozone or O3, is known to be a powerful oxidizer. How is the “Ozonator” creating Ozone? Ozone is naturally found in the upper levels of earth’s atmosphere but can also be artificially produced in closed environments by mimicking the reaction which creates ozone gas. There are two methods of creating ozone gas. First is by passing ultraviolet rays over the oxygen molecules (UV Bulb Ozone) and the second is by creating electrical discharges through the oxygen molecules (CD Ozone). Basically, ozonators are closed environments with the purpose of artificially creating ozone gas. 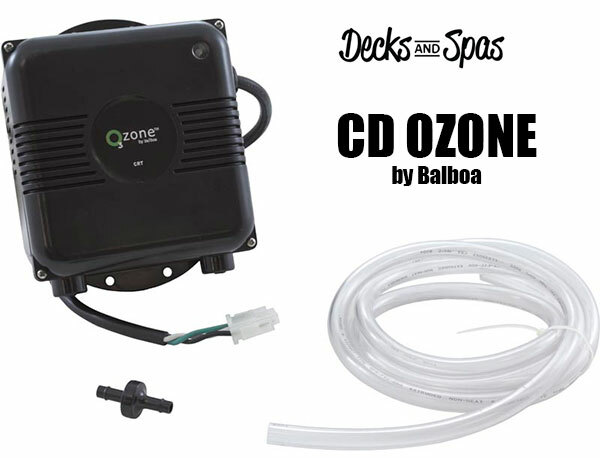 At Decks & Spas we prefer CD Ozone systems, believing them to be more reliable and longer lasting than UV Bulb Ozonators. How Ozone changes the maintenance routine. While Ozone alone is not sufficient for sanitizing your hot tub it still provides a dramatic difference in your weekly maintenance routine. Ozone helps by effectively eliminating all bacteria, germs, viruses or other contaminants it comes in contact with. When used in conjunction with your traditional spa sanitizer (chlorine/bromine), ozone works to reduce the load and free the chlorine (through oxidization), allowing the chlorine to be reused. Essentially, Ozone helps to enhance the performance of chlorine or bromine. The results you will see as the user are reduced doses of chlorine. For example, the recommended level of chlorine in hot tubs is 3-5ppm. 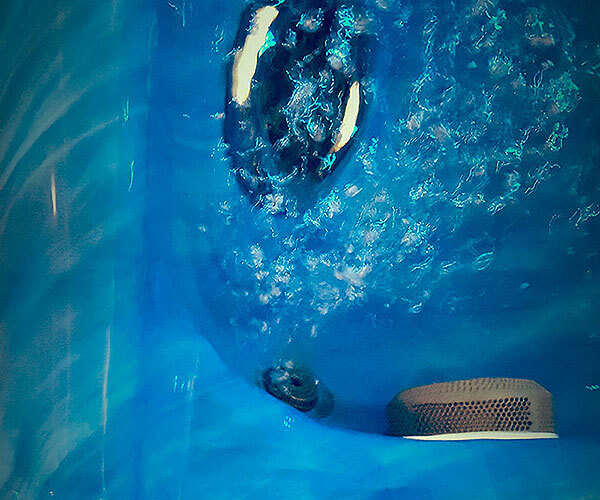 While taking advantage of Ozone, the hot tub can maintain a lower residual level of 2-3ppm and still be as effective. How often to replace my Ozonator? It’s hard to know whether or not your ozonators is still working. There are methods and tips to determining this but as a general rule you should replace your ozonators at least every 3 years. 3 years is the average lifespan of an Ozonator.